Satisfy your appetite for lunch or dinner at the hotel's restaurant, or stay in and take advantage of the room service (during limited hours). Unwind at the end of the day with a drink at the bar/lounge or the poolside bar. Buffet breakfasts are available daily from 8 AM to 10 AM for a fee. At Hotel Eden, enjoy a satisfying meal at the restaurant. Quench your thirst with your favorite drink at the bar/lounge. Buffet breakfasts are available daily from 8 AM to 10 AM for a fee. Featured amenities include limo/town car service, a 24-hour front desk, and multilingual staff. Guests may use a ferry terminal shuttle for a surcharge, and free self parking is available onsite. Make yourself at home in one of the 7 air-conditioned rooms featuring minibars and LCD televisions. Rooms have private furnished balconies or patios. Complimentary wireless Internet access keeps you connected, and satellite programming is available for your entertainment. Private bathrooms with bathtubs or showers feature complimentary toiletries and hair dryers. Take advantage of recreation opportunities such as an outdoor pool or take in the view from a terrace and a garden. Additional amenities at this hotel include complimentary wireless Internet access and tour/ticket assistance. Guests can catch a ride to nearby destinations on the area shuttle (surcharge). Make yourself at home in one of the 30 air-conditioned rooms featuring minibars. Complimentary wireless Internet access keeps you connected, and digital programming is available for your entertainment. Private bathrooms with showers feature bidets and hair dryers. Conveniences include phones, as well as safes and desks. 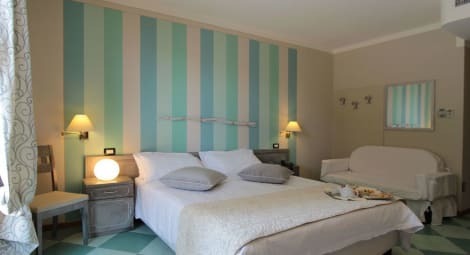 Hotel Maderno A warm welcome awaits you at the mid size, 4x000D star rated Hotel Maderno in Toscolano Maderno. Guests can enjoy a meal at the hotel restaurant. 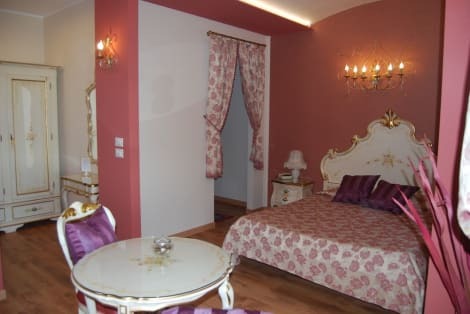 Room Features Hotel Maderno. Smoking in certain bedrooms is allowed, as well as in public areas of the hotel. Please specify when booking if you require smoking. Other Info. The hotel offers an airport shuttle service. Pets are welcome at the hotel. A concierge service is available to guests. This lovely hotel is situated in Lago di Garda. Travellers will enjoy a peaceful and calm stay at Hotel Antico Monastero as it counts with a total of 2 accommodation units. Pets are not permitted on the premises. lastminute.com has a fantastic range of hotels in Toscolano Maderno, with everything from cheap hotels to luxurious five star accommodation available. We like to live up to our last minute name so remember you can book any one of our excellent Toscolano Maderno hotels up until midnight and stay the same night.